You've been practicing ChiRunning. Now you want to learn how to apply those skills to the hills and trails where the magic and beauty of running can truly be experienced! Exclusive to ChiRunners (those who have done a ChiRunning workshop with any Certified Instructor), this session will help you deepen your practice of ChiRunning while focusing on advanced skills necessary to run hills and trails efficiently and avoid injury. 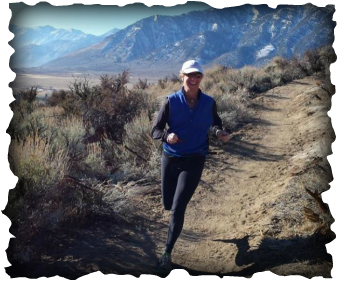 We'll also review the basic ChiRunning skills of Posture, ChiWalking and ankle lift, Lean and Arm Swing before we set off on a short trail run on Peavine. Specifically, we'll review how relaxation, leaning and arm swing all connect with a constant cadence so that your pace is consistent, powerful and efficient. Expect to run an easy pace for about 3 miles during this clinic.